BlytheLife.com » Love to write? Have something to share? Do you love to write? 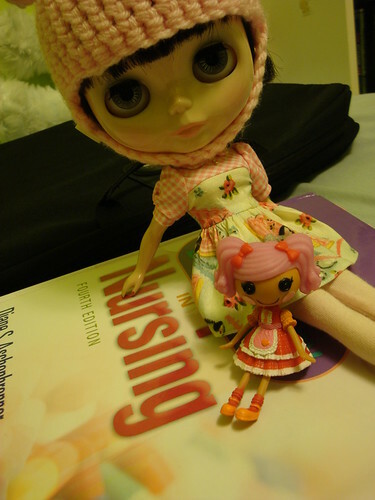 Do you have a story, a tutorial or a bunch of fun tips to share with the Blythe community? BlytheLife is looking for you to guest post here! Some examples of what you could do is: write about your Blythe journey, talk about a customizing project, share a knitting or crochet or sewing pattern (or tips! ), share your 100+ doll family, talk about your love for Middies & Petites – the sky is the limit! I’m open to guest posts about just anything. It does need to be ‘family friendly’ and be original material. You’ll get to be published here and lavished with attention via links to your blog/sites and comments from the readers! Are you intrigued yet? I hope you are! You can find more information on the How to Contribute page. If you have an idea but don’t want to write it yourself, you can send in a suggestion via the Suggestion box. I could probably right you an article about my Azone doll if you like. People might be curious about other dolls on the blog. That’d be a great idea! If you’re okay with all the information re: submitting an article, shoot me an email!